Speakers at the AJE Spring Seminar 2015 described how sexism is still present in newsrooms and urged j-schools to train students to proactively deal with it. 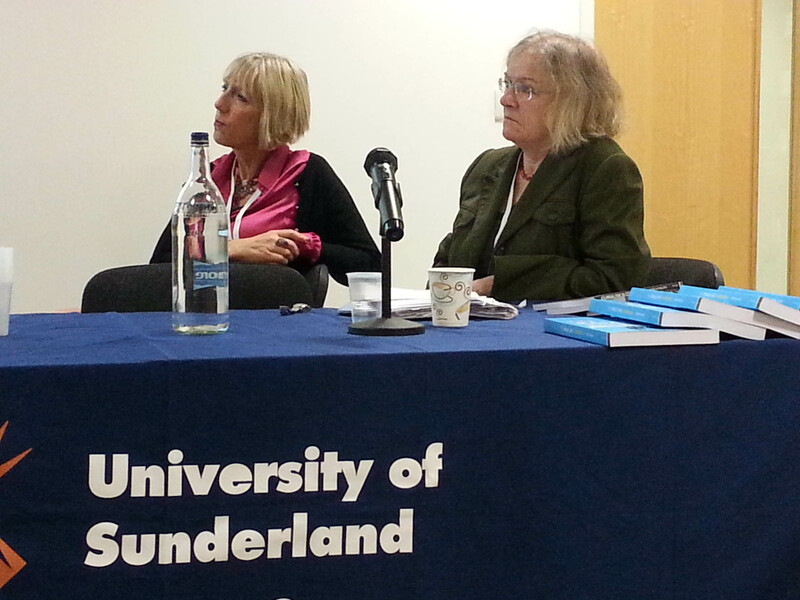 The seminar included academics: Angela Phillips (Goldsmiths), Suzanne Franks (City) and Sarah Niblock (Brunel). They were joined by new journalists Dina Rickman (Independent) and Sarah Graham (freelance) who recently graduated from City. A minute’s silence out of respect for those killed at Charlie Hebdo in Paris was also held. #JeSuisCharlie. While this (male) writer naively hoped that things were improving, speakers gave examples of sexist comments and chauvinism in workplaces and journalistic output. The seminar heard how abuse can be experienced by female journalists, academics as well as students. Although women make up the majority of journalism students, men often hold the most senior positions in newsrooms. A speaker criticised some national newspapers for not being particularly family-friendly places to work. This resulted in the industry losing many talented female journalists. It highlighted how newspaper output still contained much sexist material. As one speaker joked, the name ‘Richard Desmond’ pretty much summarised the problem with the British press. Political reporting – Deirdre O’Neill (Hudderfield) described how female MPs are reported. Labour female MPs in particularly were getting a raw deal from Tory-supporting national newspapers. Family annihilation reporting – Sarah Niblock (Brunel) examined the reporting of this distressing crime. She urged j-schools to discuss the issues when reporting domestic violence stories. Research by Amanda Geary Pate (West of Scotland) was presented by Jenny McKay (Sunderland). The research included the experiences of 176 journalists. Historical context – Angela Phillips (Goldsmiths) has done much over the years to highlight and combat sexism. She described some early NUJ campaigns on the topic. The final panel session was chaired by Jon Hewett (City). 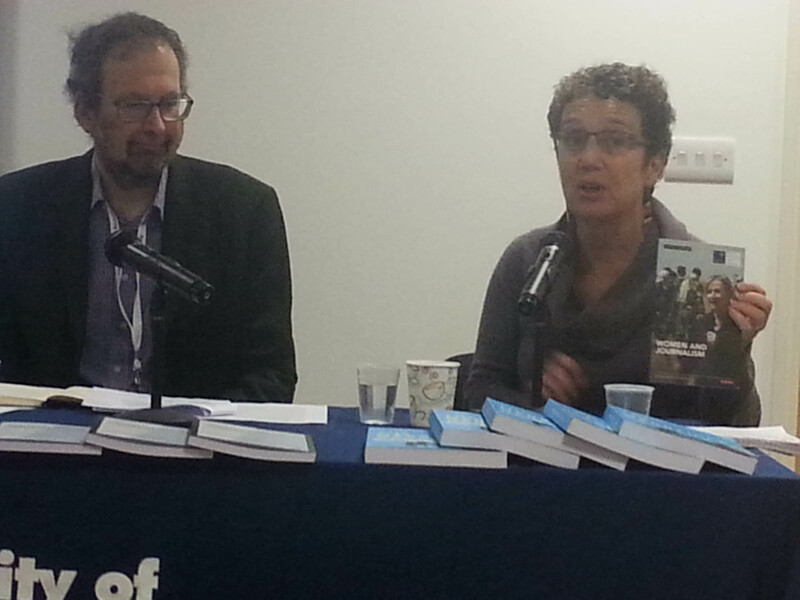 The panel included fellow City academics Suzanne Franks and Barbara Rowlands. Recent graduates Sarah Graham and Dina Rickman described the impact of yet another aspect of modern sexism – the abuse that female journalists receive on social media (aka trolling), which even included death threats. The Q&A was particularly insightful. While it seemed that female journalists on national newspapers and TV were receiving the toughest time, in contrast some other specialist publications (often those covering male-dominated sectors of the building and architectural trades) were considered to be very good places to work. The event was hosted by Sunderland University (London Campus) and organized by Jenny McKay in association with the AJE Committee (Chris Frost, Sarah Jones, Stephen Burnip, Deirdre O’Neill, Kathy Watson, Claire Wolfe, Margaret Hughes, David Baines and Steve Hill).